When my second child was born, an old family friend was kind enough to give a bunch of books, including a few for my oldest. One of those books is “The Greedy Triangle” by Marilyn Burns. 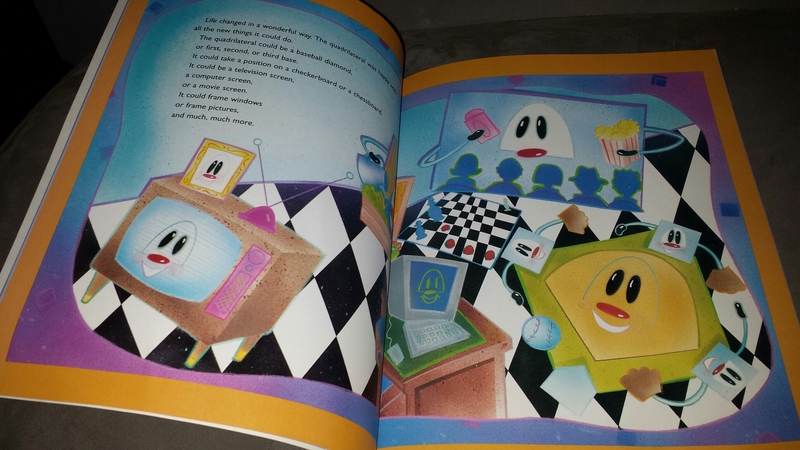 The book is about the triangle, who becomes unhappy with its shape and keeps hoping “just one more side and just one more angle.” As it goes from triangle to quadralateral to pentagon and so on, the shape learns a valuable lesson about loving who you are. I love this book because it cleverly weaves a math lesson into a story about self love. My two-year-old loves looking at the pictures and spotting the Brooklyn Bridge, which he recognizes from our neighborhood. I look forward to him calling out the names of the shapes as he learns them. 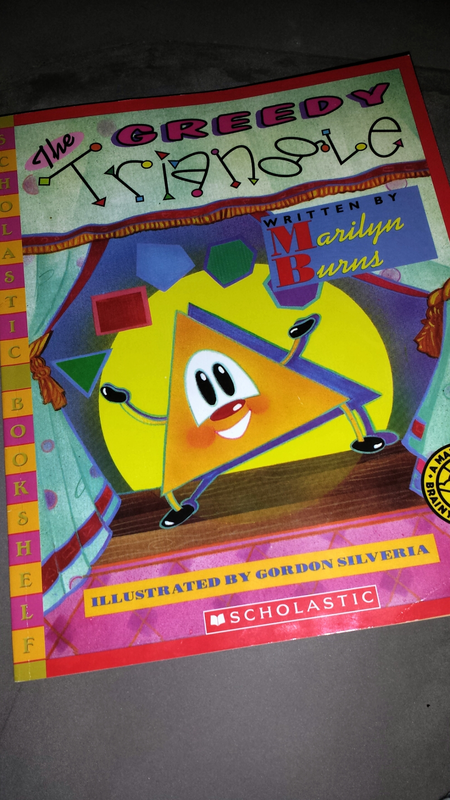 “The Greedy Triangle” is published by Scholastic and is promoted as a teaching tool for educators. However, I believe any parent or guardian will appreciate this book for its sweet story. This entry was posted in Inspire, Smile, Think and tagged books, children, education, geometry, math, reading, Scholastic, STEM, story time, teaching, the greedy triangle on June 11, 2015 by Maybe I'll Shower Today.